A mercury retort used in West Africa. When heated, the gold is separated from the mercury, which is safely recaptured for reuse. This Fairtrade Gold will be used to create Fairtrade Gold wedding rings. Approximately fifteen million small-scale gold miners create between fifteen and twenty percent of the world’s gold supply chain. These miners comprise ninety percent of the world’s gold mining labor. Their lives are characterized by poverty and exploitation. Issues such as child labor, unsafe practices, destruction of ecosystems and mercury contamination are mitigated through the purchase of Fair Trade Gold wedding rings. At present, unregulated and often illegal artisan small-scale mining takes place extensively in Africa, Asia and South America. In these communities, elemental mercury is utilized in the artisan small-scale mining process because it is inexpensive and very low tech. Gold grains from alluvial or crushed rock are mixed with mercury to create an amalgam of mercury-gold. When mixed, often by hand as shown in the photo I took in Kenya, mercury attaches to the gold from crushings mixed in water. A small amount of gold mixed with mercury. Photo taken by author. This results in a small amalgam that could weigh only a few grams. The gold amalgam is heated, sometimes in frying pans which are then used for cooking! Methyl mercury, one of the most dangerous of all neurotoxins, is released into environment and only the gold remains. The gold that remains is considered dirty gold, or conflict gold if you include the environment in your definition of conflict. In the industry the actual gold itself is called dore gold. It could be 70% to 90% pure gold. The balance could be silver or other ores such as platinum. The miner doesn’t know the exact amount of gold or what else might be contained in his dore. He or she goes to a trader who will typically offers cash--thirty to forty percent under the dore’s real value. The miner takes this money and buys food. Because the small-scale artisan miner does not get international prices for gold, he ends up fixed in a poverty cycle. The survival element is an important point. Jewelers make the argument that buying recycled gold wedding rings is an eco-friendly solution. This is patently false. Recycled metals have only a symbolic value in context to their social impact. Ethical jewelry = positive social impact. A Fair Trade gold wedding ring actually supports the elimination of poverty and artisan gold mining mercury poisoning. Artisan small-scale mining is about the politics of bread. Large-scale mining companies, all of them act as neocolonial entities to one degree or another, function in the politics of greed. This gold from the small-scale gold mining ends up conglomerated in an international trading center, such as Dubai or Switzerland. From there, the dirty gold ends up in jewelry, electronics or in any number of places where gold might be used. A Fair Trade gold wedding ring made from Fair Trade gold is entirely traceable and transparent. Miners are taught how to extract gold without mercury contamination. They have audited standards and principals for safe practices. They are paid international prices for their gold. Additionally, they receive a premium of $2000 per kilo, which amounts to about four percent. This money is used democratically to invest in their business or back into the community. Not only does the miner learn to extract gold safely, s/he is also uplifted from impoverished conditions because of being paid a fair price for his/her Fair Trade gold. The people of the land control the resources of the land and there is tremendous investment put back into the local economy. Additionally, because much of the mining is done by hand, slowly, the mine itself is more sustainable over the long term. Getting these small-scale artisan gold mining communities to use mercury safely is a long process. The first Fair Trade gold mine in South America took over ten years become certified. Artisanal small-scale mining communities have to be brought up to a certain level of capacity. Capacity building means essentially building skills and developing relationships. This is done through Fairtrade International workers on the ground. In Africa, the process is taking three to five years for a mine to be certified as Fair Trade. The goal within these communities is to eliminate mercury completely. Globally, it is estimated that these artisan small-scale miners release four hundred metric tons of elemental mercury into the environment per year. With a vibrant and flourishing Fair Trade gold wedding ring market, mercury toxicity be reduced, and more money would be made available for local economies. Poverty and environmental destruction go hand and hand. These days, some small-scale gold mining communities live in mercury concentrations tens of thousands of times above safe levels. Areas become so toxified that they cannot be inhabited. This was true for the Sotrami community in Peru. Sotrami is the most productive Fair Trade gold mine in the world and the vast majority of Fair Trade Gold wedding rings are produced from Sotrami Fair Trade gold. 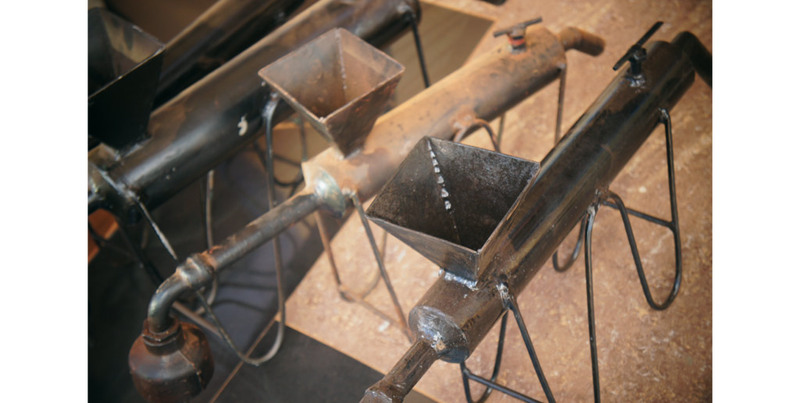 The mine itself does not use mercury, but rather a cyanide leaching process. Before they implemented Fair Trade gold standards, Sotrami moved from their old village which was too mercury polluted and created a new one. The small-scale gold mining sector releases more mercury into the environment than any other sector in their creation of mercury-gold. Tanzanian miner mixing gold with mercury by hand. Photo taken by author. Even a small amount of mercury in your system can create havoc. A few years ago I tested for high levels of mercury in my own body. Perhaps this was from mercury dental fillings, or eating too much fish. My thyroid was failing, I had high negative cloistral, and my body temperature was under 96 degrees. Once I went through a detox process, which included removing mercury fillings, all my functions, including cloistral, went back to normal. Mercury is considered such a dangerous material in the US that if a mercury thermometer was to break in a high school science class a hazmat team would be called in. Not only is mercury contamination from gold mining a present concern, it’s a legacy issue as well. Once mercury gets into the environment, not only does it impact humans, it migrates into other living species impacting the environment for hundreds of years or longer. In California, about nineteen million pounds of mercury from over 45,000 legacy gold mines continue to contaminate the watersheds that supply the central valley. Fish are not safe to eat and municipalities spend millions of dollars to make their water portable. Ideally, mercury would be eliminated in the production of Fair Trade gold. 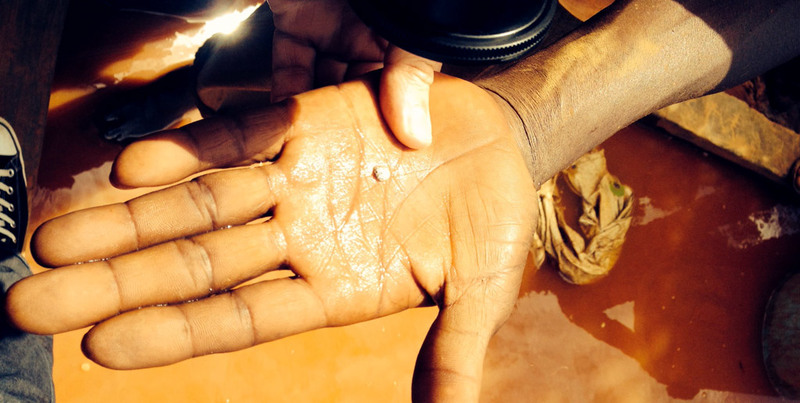 To start, local Fairtrade workers teach small-scale miners to use mercury safely, and this can be done utilizing a retort, as shown in the lead photo of this article. In fact, miners are incentivized to get off mercury with a higher premium offered for eco-gold. But the issue is, special equipment is needed. Our company will be donating part of our proceeds from the sale of Fair Trade gold to purchase machinery that will enable mining communities to refine their gold without the use of mercury. These days, there are few Fair Trade gold mines and the movement is quite small relative to the amount of gold produced. To create momentum, there must be both market demand and more artisan small-scale Fair Trade gold mines. Both conditions would create a virtuous cycle that would reduce global mercury poisoning and poverty among the small-scale mining communities worldwide. There’s no question that, over time, just as in the case of other Fairtrade products such as coffee and chocolate, transforming these mining communities through Fairtrade practices would have a profound effect on millions of people.